It is without doubt the hardest thing to keep motivated in a market you have been involved in for so long. In my case of over 30 years in the printing industry is no exception. The difficulty these days, is the sheer spread of marketing platforms compared to those of yesteryear. I refer, of course, to the plethora of e-marketing methods which bay for our attention, and in many cases keep the opportunity that print offers away from any primary choice of the mix. 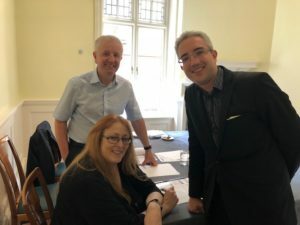 Understanding these methods means learning their function and seeing how they affect my business, looking ahead far enough to see if they will effect things in some way, so for me looking forward has always been crucial in developing the business. For over 5 years now I have had the pleasure of working with the terrific people at the Printing Charity. 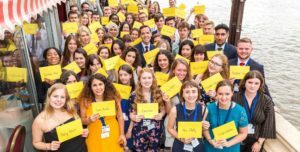 They support young talent through the Print Futures initiative and every year I get to interview some amazing young people from across the country. Through the initiative, each candidate can gain a cash award to help them further develop their skills. Every year the quality of the candidates impresses, and every year the numbers applying increases. To me the one thing that stands out is the real enthusiasm these individuals have. This year was no exception, I had the pleasure of meeting young talent who I know will go on to great things, and for many, Print Futures will be their first major step along the way. I came away truly inspired from my day on the interview panel. These young people are hungry for an opportunity, they are skilled, talented and enthusiastic, many entrepreneurial in their approach. Our industry may be seen to be at the back of the mix when it comes to strategic marketing processes, but with young people entering our trade of this calibre I sense a strong return for print is fast approaching. From Graphic Designer to journalist; illustrator to machine operator; finisher to artisan screen printer, all are examples of individuals who are seeking direction to use their skills and creativity differently in the industry. Print Futures is a superb opportunity for these individuals to find their way. The emerging Alumni group of past winners will continue to grow and become a hot bed of talent where, the opportunity to share and network amongst fellow successful applicants, will put them all in a very special place in the future. Although still a fledgling group, I have no doubt these Alumni members will become a very powerful mix of professionals. 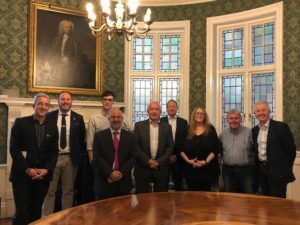 The Print Futures initiative for many, will make a real difference and supply a great confidence boost to them personally. Any business needs new blood. It is easy to stay the same but innovative to think differently. By thinking forward in your business, introducing young talent to it can bring new opportunities and allow others within that company to work differently too. Print Futures supports young talent on their chosen print based career path and celebrates with them their success. 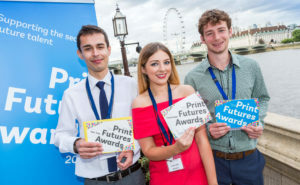 If you are an employer and wish to know more about the Print Futures, the talented group of recent or even past winners or if you are aged between 18-30 and are planning to follow a career in the graphic arts, print or journalism sector then Print Futures may be an opportunity fit for you.